There some new holiday tools deals over at Amazon. Some of them are good, and I’m not mentioning the ones that are at best “so-so.” You can see all of their current tool deals here. 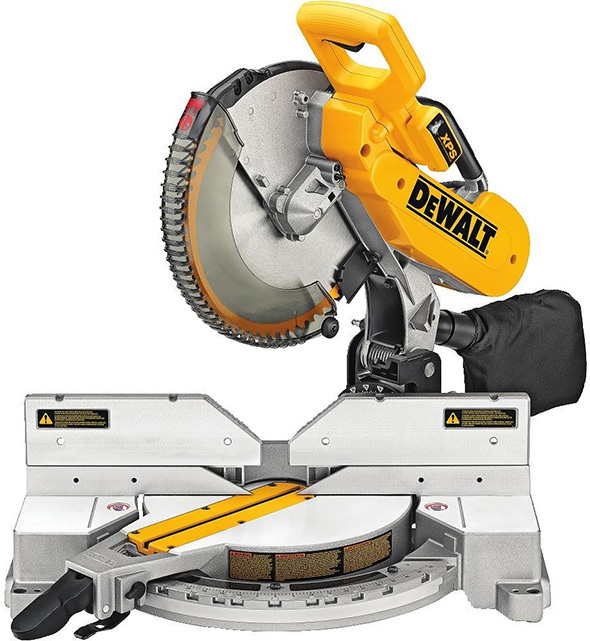 One of the more interesting deals is the Dewalt DW716XPS 12″ dual bevel miter saw with LED shadow-lighting cut line guidance, shown here. It’s on sale for $249. It was previously $249 and included a free basic blade for black friday. There was a more recent deal of the day that was $299 with a free stand. In case you missed both deals, now’s your chance to get the saw at a great price. Sorry, there’s no bundled bonus tool this time. Bostitch 6 gallon air compressor: $101.80 – weird, they’re advertising it for $99, but the price is higher on the listing page. Does anyone feel that Amazon’s December tool deals have been a little lacking this year? 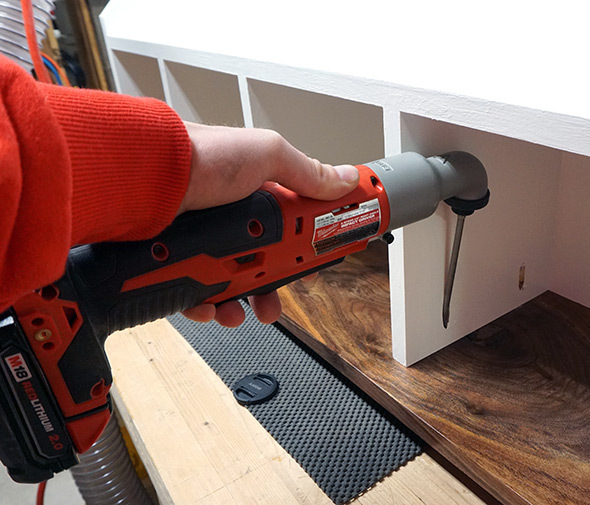 « Is Home Depot Dumping Bessey Clamps? If So, What Will Take Their Place? I’ve only been watching the tool deals for a couple of years but this year the offerings are certainly below par. A discount is a discount but nothing that blows my hair back. Has this not been a trend for the past few years with Amazon? But their third quarter profits looked really good. If you had bought their stock on the July earning report dip – you would have done nicely. Yes, but this year seems different. I think it would be fairly easy to blame this “Lack of Great Deals” on the 8th or 9th continuous year of the post Great Recession boom. With the stock market booming – disposable income is way up for many Americans – even us retired folks (if I count my paper stock market gains and RMD even after taxes). Maybe Amazon has this sort of thing built-in as a factor in their sale pricing algorithm. For those who have not recovered from the Great Recession – it is an entirely different story. 2 Dewalt 6AH batteries @ $149 = $12.42/AH. Is that the best price of any battery system? 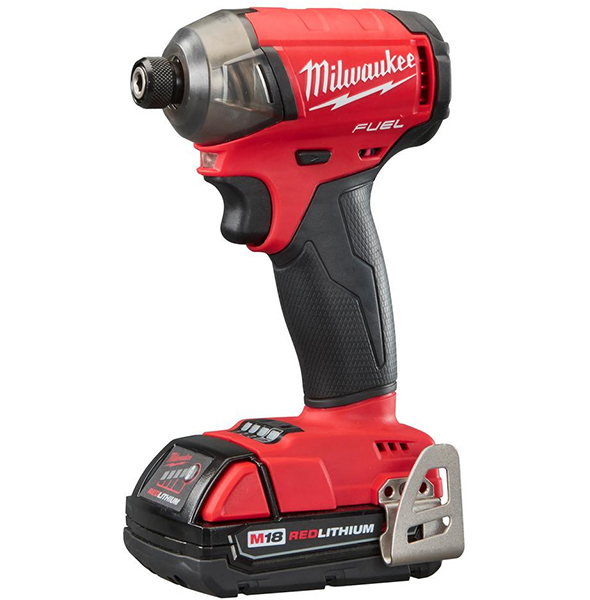 Milwaukee has been hovering at $19-$25/AH. I think they were part of the $25 of $100/150 sale recently at the same base price, so that was a better deal. Oh, and Hitachi had better per Ah price as posted here. Look on craigslist or eBay. I have a local guy that sells 9ah for $100 any day of the week. I buy DeWalt batteries off of eBay (sold from kits) for $10 per ah. I never spend more, sometimes a little less, especially after good deals online, they’ll drop a little. In general I haven’t seen any “take my money now” deals this season. Sure there are some good deals to be had if someone was starting from scratch for cordless tools, but I don’t fit that demographic. I was really happy to get the Bosch ROS20VSC Random Orbit Sander for $49 last week. Outside of that, deals have been disappointing. Makita 5377MG Makita 5377MG Magnesium 7-1/4-Inch Hypoid Saw is at 159.00, $20 less than Home Depot’s price. I’m about to pull the trigger on? Who worries about amp hour pricing on batteries? You buy into a system based on the tool options and then find the best deal you can on the batteries your chosen system takes. I can’t possibly think of anything less important. Every name brand pro system sells batteries at +/- 15-20% of each other and then all the cheap plastic fantastic brands (Ryobi, Kobalt, Porter Cable, Craftsman) fight it out with super low pricing and cheaper lo-tech charging systems. No one is worrying or even saying it’s a purchasing decision, so please stop reading into it, just curious as to how ripped off we’re getting. They all use similarly priced 18650s, except maybe for Hilti. It’s good to know the markup they’re charging, so people know when/how to buy. I’m looking forward to the move to 2170 size. Some of us have opined that selling batteries may be more profitable than selling the tools that they power. Maybe if cordless tool/battery/charger designs stabilize at some future point, the aftermarket battery business will take off to provide some real competition with the OEM’s. I guess if I could buy a Makita, Dewalt or Milwaukee equivalent battery from a well respected manufacturer (like Samsung, Panasonic or Sanyo) I might consider it. When running businesses – one where we had over 100 Makita BL1830 batteries – I would have liked to have had an alternative – and Craig’s List, eBay and third part sellers on Amazon were not places I really considered even though I’m sure there are legitimate bargains to be had. Having contacts in retail and marketing, I know what the margins are on overpriced and unnecessary items. I’m sure they’re making more with batteries. Too many people are drinking the cordless Kool-Aid. My only cordless tools are drill and driver. A cordless grinder lasts about 10 minutes on battery. Though I totally understand commercial builders wanting cordless on a jobsite or roof, I’m almost always near power. And when I’m not, I have a battery powered inverter, but the tripping hazard still exists. If the manufacturers, won’t make it, I hope a 3rd party brings out an AC adapter. Just like the Dewalt AC adapter for the miter saw, just one battery width instead of two. If my laptop computer can run off battery or AC, why can’t my router? Get off my lawn all you batteries. Concur. Since I work mostly in a shop, I put up four overhead cord reels. With power accessible everywhere, I can enjoy great freedom from battery recharging. Some cordless tools have specific design advantages and I use these as needed. Nothing to do with drinking the cool aid. I haven’t used my corded sawzall or circular saw in over a year. I hardly use my Fein tool anymore. There’s simply no point in having a corded jigsaw any longer. Now, I’m not a framer, I just do remodeling, but being able to just grab the cordless sawzall or multitool or jigsaw or circ saw and do the task is priceless. Of course, if I was demoing out an entire roof or deck or wall structure, I’d probably bring out the Hilti sawzall, and if I need to scrape an entire floor of adhesive, I’d probably use my Fein tool. The other day, I installed some commercial gym weightlifting equipment. Probably had 80-100 3/8” hole in concrete or brick. Used my Makita sds rotary hammer. Good thing too / who’s have thought that the only outlets were 65’ away from the install? I had brought a 50’ extension cord just in case to run my Festool Vac as I was drilling to reduce the dust and had its entire cord and the hose nearly full extended. Guys that dog cordless are like folks that still shoot film; there’s really no point anymore. Bad analogy. Film costs more to shoot because of developing. Film cameras have less capacity than Digital cards. 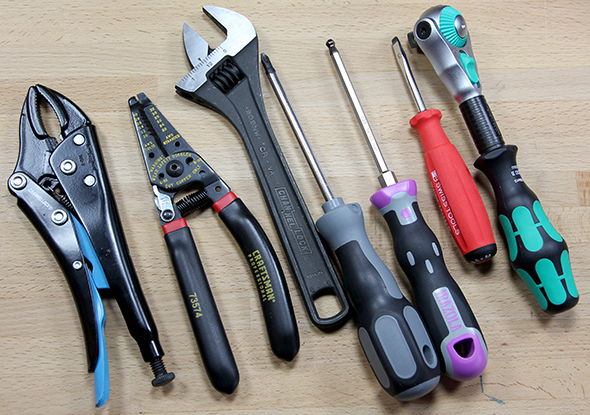 Corded tools cost less since no batteries, and typically have more powerful motors than cordless. Both corded and cordless tools have their place, it’s not like Film where you can’t see your results immediately. Your analogy breaks down from the beginning, and then gets entirely pointless.